From time to time, as updates to the information in our books occur, we will post it here at our updates page. Keep an eye on this section for the very latest news and information that you will not be able to find anywhere else. 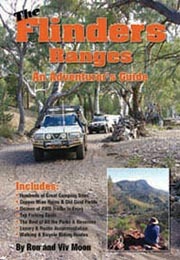 Our new 4th edition of our guidebook has all the latest information on travelling through the Flinders Ranges, however there are always ongoing updates that can be added to this page. 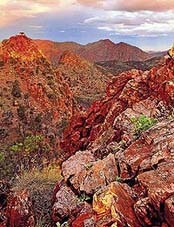 Biblography - a comprehensive listing of books on the Flinders Ranges for further reading. ForestrySA is pleased to advise that parts of the popular Wirrabara Forest have reopened to visitors, following January’s Bangor fire. 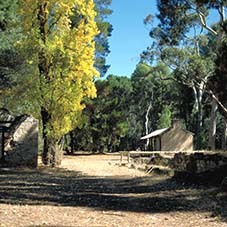 Popular forest locations the Wirrabara Picnic Ground, Ippinitchie Campground, King Tree Paddock and the “A” Plantation are now open. 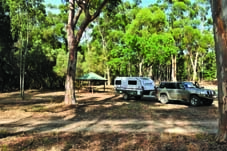 Arkapena Bush camping is closed - but there are plenty of other camping options nearby. Willow Springs Station has established a ‘new’ Skytrek track which offers a great drive and fabulous views – it just won’t get to the top of Mt Caernarvon. Check out their web site at: www.skytrekwillowsprings.com.au. The station no longer has access to the section of the track that takes in Mt Caernarvon (see below), however their new track is a beauty. 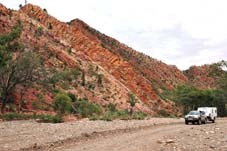 The crest of Mt Caernarvon in South Australia's Flinders Ranges is again open to limited access by self-drive 4WD vehicles. Total length of the new route is over 50km and it is open on most long weekends and on allocated weekends for group bookings of more than 10 vehicles. 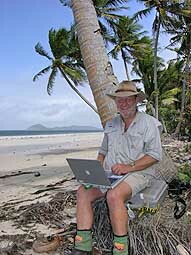 Bookings well in advance are essential; check out: www.caernarvontrack.com. Pinch of Salt self-drive 4WD track at Nilpena Station is now closed, while Parachilna no longer sells fuel. Talking of fuel, or lack of it, Blinman doesn't sell fuel either, even though the bitumen now reaches this small outback town. The only place with fuel in the area is Angorichina Station, or Leigh Creek further up the main road. The roadhouse that was located beside the highway is now closed and there is no fuel. With the closure of the coal mine at Leigh Creek in late 2015, things have slowed down in Leigh Creek or Copley. However most of the facilities listed in our guidebook are still available. Remember the Foodland store is open 6 days but closed Sunday. There doesn't apper to be a visitor information centre any more in Leigh Creek unfortunately. 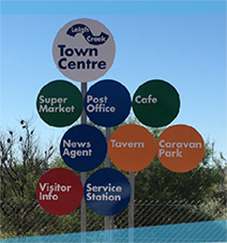 According to the Leigh Creek Community Progress Association the Caravan Park is open, ph: 0429 012 445; or you could stay at Leigh Creek Stays, ph: 0428 134 311 - http://www.leighcreeksa.com.au/come-stay/. 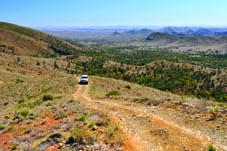 (page 195) Most of Arkaroola and a portion of the Mt Freeling Pastoral Lease next door have became a protected area. 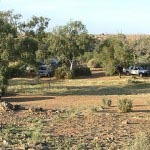 It is now illegal to collect minerals from within the Arkaroola Protection Area and large fines apply. This is the first private land protected in such a way in SA and is the result of the No Mining fight that Arkaroola ran for six years, and finally won. It should be noted that not all of the Yudnamutana mining field is outside of Arkaroola, and outside of the Arkaroola Protected Area. Yudnamutana the old town and cemetery is certainly outside the Arkaroola boundary, but some of the eastern old mine sinkings lie inside Arkaroola.